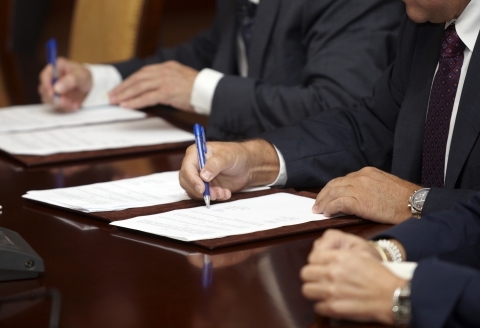 Intellectual Property & Trademark Law - Trust Our Attorneys | Gross Law Group, P.A. Before investing substantial time or money into a business, it is a good idea to get some advice from an intellectual property lawyer. By ensuring that you can protect the name under which you’re planning to build your business or product, you can ensure that you do not have a competitor confusing your customers. You can also ensure that you do not infringe upon someone else’s trademark which can, once again, confuse your clientele. A key element of marketing your business will be getting your customers to identify you as the source of the product or service that they are seeking to purchase. This requires that you have a distinct indicator — a trademark. Sometimes trademarks are used to define service, in which case, they are commonly called servicemarks. Both of these designations fall under the Lanham Act protections. Allows Trademark Owner to seek treble damages in some circumstances: If you need to enforce your trademark rights in court, treble (triple) damages are available in certain instances. In extraordinary cases you may also be able to recover your attorney’s fees from the infringing party. Provides for statutory damages: Statutory damages are available to the owner of a registered trademark if a third party is engaged in counterfeiting goods or services. These damages, where available, can range from $1,000 to $2,000,000 per counterfeit mark and type of good sold, distributed or offered for sale. National Constructive Notice: Once a trademark application is approved for publication, it is published in the US Trademark Official Gazette (TMOG). This publication serves as official notice that your mark is being registered and begins an opposition period during which anyone who believes their trademark or business may be harmed or infringed by your registration will have an opportunity to challenge and object to your registration. These proceedings before the TTAB (Trademark Trial and Appeals Board) operate much like any other court proceeding, and they require proper responses to protect your trademark rights. Once your mark makes it past the opposition phase and is eventually issued a full Registered Trademark status by the USPTO there is a presumption of law that anyone who begins to use the same mark, or a confusingly similar mark, had legal notice that you were already using this mark. This can be a valuable tool in stopping others from copying your business and confusing your clients to the extent that your trademark rights are being infringed by someone offering a similar product or service. Grants the right to register the trademark with U.S. Customs Service to permit them to block or seize counterfeit goods: The United States Customs service maintains a registry of Registered Trademarks which allows them to stop imported counterfeit goods and seize them at border checkpoints. If you have a product and suffer from imported counterfeits, this can offer a substantial means of eliminating the counterfeit goods from the marketplace. You could file your trademark without a intellectual property attorney. However, considering the relatively low cost of having a trademark lawyer draft and file your trademark application, you should not take the considerable risks involved with an improper application. We offer flat rates that are very reasonable — contact us. I would never advise any of my friends to file their own trademark applications without an attorney. Starting a new business or launching a new product can mean investing tens of thousands of dollars in start-up and marketing expenses. Building this all on an improperly protected trademark would be a huge waste. While there are many companies out there that will offer you a low, flat rate to fill out a trademark application for you, this is often a bad idea. Filing a trademark is not a simple procedure of filling out a form. Mistakes during this process can invalidate the trademark years down the road when it is challenged and you try to enforce your rights. An improperly filed trademark is often just as bad as no trademark at all. 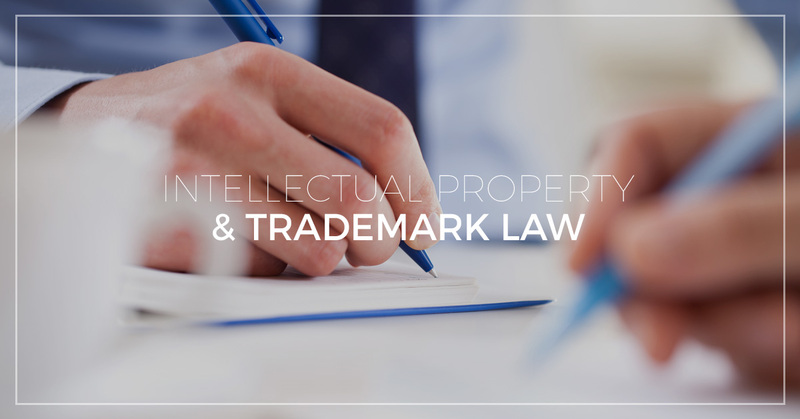 There are many important elements that you can discuss with a trademark lawyer to ensure that your valuable mark receives the protection you’re seeking. Don’t waste your money on a non-lawyer service like LegalZoom or RocketLawyer. These services may be appropriate for some types of filings, but in my opinion they are a terrible idea for trademark registrations which can only be performed well by someone who has years of training and experience with trademark law. Intellectual property law concerns intangible property, including copyrights, patents, design rights, trademarks, and other properties. Here at Gross Law Group, P.A., we strive to ensure that you understand the protections you need in consideration of the aforementioned properties. We’ll work with you to ensure that your intellectual property is protected from copying, theft, and unauthorized use. In addition, if you think that your intellectual property rights have been violated, we can represent you in order to take legal action. We can approach any parties who have infringed on your intellectual property rights, and we can begin litigation on your behalf if necessary. We understand that your intellectual property is part of your business, and it may be an integral part of your profits. We’ll help you to file for protection under intellectual property law; we’ll ensure that your protections aren’t violated; and we can pursue litigation on your behalf if your intellectual property rights are violated. If you’re curious about what we can do for your business and its intellectual property, don’t hesitate to get in touch with us for additional information. Protect your business with Gross Law Group, P.A., your trusted, Top Rated Local® Law Group. Contact us for a free consultation on your trademark or intellectual property matter.